Religions that have their roots in India namely, Hinduism, Buddhism, Sikhism and Jainism believe all paths to God are valid and over the centuries this sublime belief has helped avoid violence and strife. 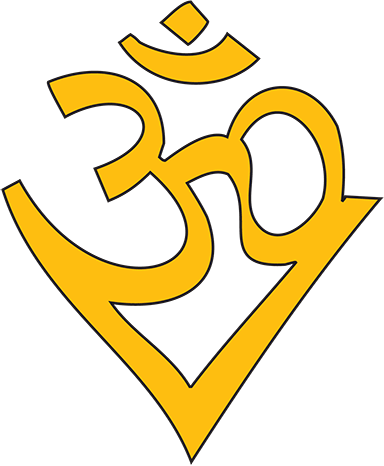 There are thousands of sects within Hinduism and violence between them is unknown. Jains have a concept called, ‘ Anekantwad’ meaning that truth can be arrived at from different paths. There is a great parable in Buddhism that describes a blind man touching different parts of an elephant and describing what he thinks it looks like. In his on way he is correct in his description and the same is true of religions. According to the time, circumstances and the culture a religion is born in it will interpret the truth as it sees it. Religions of India or Dharmic faiths believe there is nothing to fight about this apparent differences. Indeed the whole concept of ,’ my religion’ is an extension of my race, my country, all of which the religions of India term as,’ Maya’ or illusion. At death all these attachments are severed. When the Zoroastrians known as the Parses came to India having been driven out of Persia for their religious beliefs, the Hindu king welcomed them and not only tolerated but encouraged them to continue practising their faith. Parses have lived happily in India over the centuries and there has not been a single incident of confrontation with the majority Hindus. Indeed the Parses have paid back by excelling in so many fields which has put India on the map as an economic giant. Sikhs have even defended other faiths facing persecution. This unshakable belief in diversity has meant that religions of India have never sought to convert others. The root of cause of violence in the name of religion is the desire to convert, indeed entire civilisations have perished whenever a new ideology believing in the supremacy of its beliefs has decided to bring its version of truth on others. The other unique advantage the Dharmic religions have is that precisely because of the tolerance of ideas they are able to reform whenever negative pratices creep in as it does in any long established tradition. Mahatma Gandhi and many others in India were able to confront long established but outdated and corrupt practises which had taken root in Hinduism. In many faiths such reformers have faced violent persecution but Hinduism welcomes valid criticism. This permanent revolution to use a Trotskyite term keeps the faith in touch with the ever changing world. This freedom of thought and expression is the reason why democracy is thriving in India. New thoughts, new ideas do not frighten the people of Dharmic faiths neither do they try to stifle them. As Mahatma Gandhi said: ‘Let my windows be open to receive new ideas but let me also be strong enough not to be blown away by them’. In the heart of New Delhi there is a beautiful Baha’i temple. This temple sits comfortably in its new home and Indians visit it in large numbers hoping that there will be something new to learn from it which will enrich their lives. Until and unless all the faiths do not acknowledge the unique diversity and the rainbow of different cultures and faiths that God has given us and which so enrich our lives religions will create strife instead of peace which is the main purpose of religion anyway.